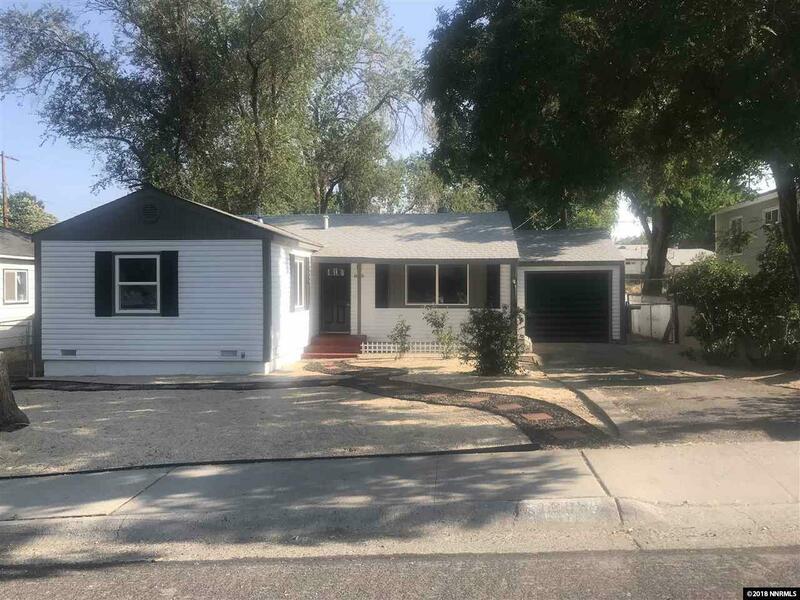 Beautifully remodeled home in desirable Northwest Reno! This stunning property includes new windows, tile, granite, refinished original hardwood floors, landscaping, carpet, appliances, and several other upgrades. There are mature trees surrounding the property and the backyard has a covered patio, a unique charming storage shed, and brand new grass! The master bedroom is separate from the other 3 large bedrooms, and includes a walk in closet and master bathroom with new modern tile. Come take a look today!